When is your next market? Our next market is Sunday, April 7th 2019 at The Royal American. All markets are announced here and on our Facebook and Instagram pages as soon as we have them booked. If you would like to be one of the first to know about these events, please join our e-mail list (see below). How can I participate in your event? Join our mailing list and follow us on Instagram! We notify through these outlets first. You can always find information about upcoming events here on the website. To become a vendor at our market you will have to fill out a vendor application, all applications will be sent out via our e-mail list and are linked on our website. Vendor applications for our April market can be found here. What is your vendor criteria? 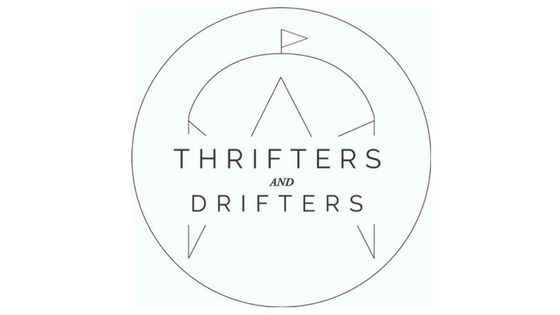 Thrifters and Drifters is a curated craft market. We focus on handmade and vintage vendors at the moment and specifically look for those selling unique, well-made items. We curate our events to meet the tastes and needs of local customers, many who are young, contemporary and fashion forward. We often limit the number of each kind of vendor allowed in order to provide a varied group of vendors at each event. Vendors are chosen according to how well their work fits into the scope of the Thrifters + Drifters market, how well the business and products are represented in the application, how many vendors in their category are accepted, and the quality and originality of the products. Only accepted artists may participate in the show. Furthermore we LOVE vendors who are as excited about each event as we are and who showcase their goods in a creative appealing way, offer to get involved, hang posters around town, use their social media to promote the event and fully support the growth of Thrifters + Drifters. We often receive many more applications than our venues can accommodate, we cannot accept every artist who applies. After applications are reviewed notifications will be sent via e-mail to notify you of your status. Is there a vendor fee? Yes, if you are accepted to a market you will be required to pay a vendor fee to hold your space. Vendor fees varies slightly based on the size of the event and the number of vendors. How big are the booths? Booth size varies depending on the event. For outdoor events we try to give each vendor a 10 x 10 space so they may bring a tent if they would like to. This depends on the event location, and is not a guaranteed booth size. At smaller, limited space events, we may only have enough room to allot for one 6ft table. It really just depends on the event! Are tents required and will you provide them? No, tents are not required (see above question about booth space), we also do not provide tents for our vendors. All vendors are responsible for their own set up including all tents, tables and chairs. We do not provide electricity for any events. Payment instructions are emailed to accepted artists at time of acceptance. The payment deadline is within 7 days of receiving the invoice. If payment is not received by this deadline, then space will not be reserved and could be forfeited to another vendor. What type of license or permit do I need to sell at your market? Vendors are required to have a valid Charleston business license and sales tax number on file. You are responsible for obtaining these permits.